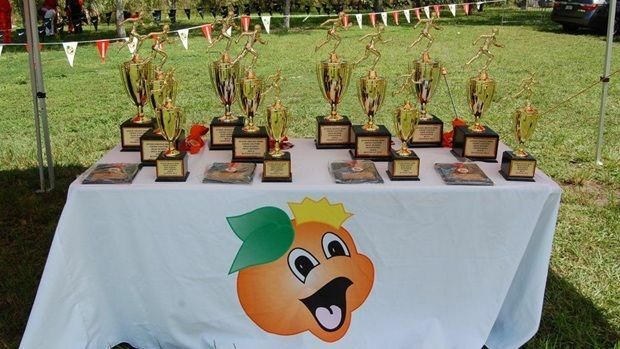 A majority of South Florida teams will be at Larry & Penny Thompson Park in Miami tomorrow for the Junior Orange Bowl Invitational. Fifty-eight high schools will be in action, but not every squad will be fielding their "A" team. One of the top girl's individuals Alyssa Pujals isn't racing and Rachael Osman of Coral Reef is pacing a teammate leaving Aylwyn Hernandez a clear favorite. Lourdes, Ferguson, and Westminster Christian will all be in the hunt for the team championship. The Coral Reef boys will be without their top five including Kurt Convey and Carlin Berryhill. The individual battle should be between Nick Diaz and Ryan Rodriguez who have seen plenty of each other this season. Diaz is the defending champion in the meet, having run 16:25.46 last year. Belen Jesuit is the favorite in the team standings with Columbus, Ferguson, and Sunset fighting for 2nd place honors. See how are virtual meet has the meet playing out! Flrunners.com will have tons of photos, results, and a complete recap of all the action whick kicks off with the girls JV middle school race at 10:00 a.m. and resumes with the high school girls JV race at 2:30 p.m.!